Living on-campus at the University of Connecticut is a wonderful, positive experience. The impact that on-campus living has on a student's academic and social life is significant. To create a positive learning community, each resident must take an active role in the development of the living environment. Residential Life staff are excited about collaborating with you to develop a positive community in your residential area. Resident Assistants (RAs) are paraprofessional student staff and are typically undergraduates, although some are graduate students. There are approximately 10 RAs in the residential areas of the Stamford campus. RAs are usually located on the residential floor and have received special training relative to student needs, campus resources, conflict resolution, and overall University policies and procedures. The Resident Assistant (RA) position is a premier leadership opportunity for students. RAs are student peer leaders responsible for entire communities of resident students. 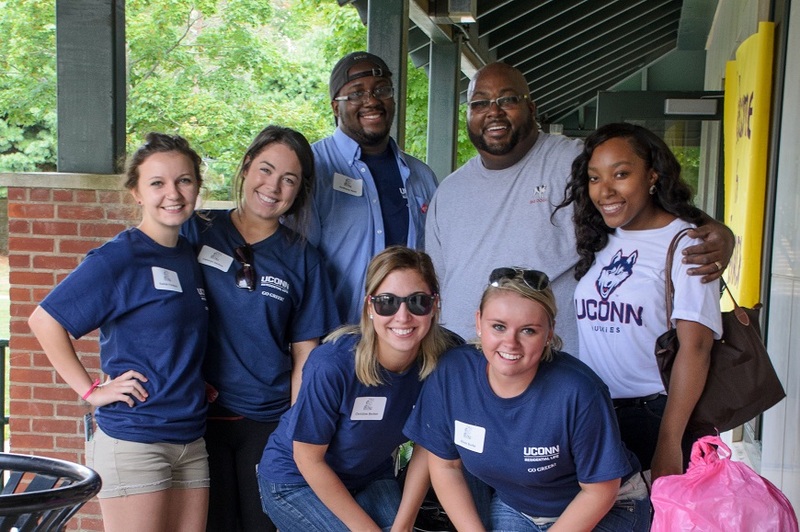 The RA position is more than just a job; it is a leadership journey that will challenge and offer opportunities for success and development at UConn. For more information about qualifications and responsibilities, please visit the Resident Assistant page on our website. Hall Directors (HDs) are full-time professional staff who hire, train, and supervise the Resident Assistants. All of these staff members have prior residence hall experience and Master's degrees. Hall Directors live on-campus and have offices in the areas for which they are responsible. Hall Directors serve as campus resources, educators, advisors, and student conduct officers. 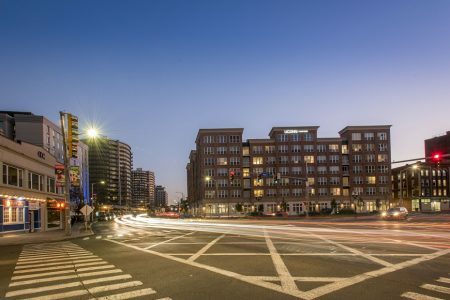 The Stamford Residence Hall has two Hall Directors, whose offices are located on the ground floor of 900 Washington Blvd. Assistant Directors of Residential Education supervise hall staff and are full-time professional staff with Master's degrees and five or more years of full-time residence hall experience. Each Assistant Director is responsible for an area of approximately 2,500 students, 3-6 Hall Directors, and approximately 60 Resident Assistants for residents either on the Storrs campus, Stamford campus, or a hybrid of both campuses. 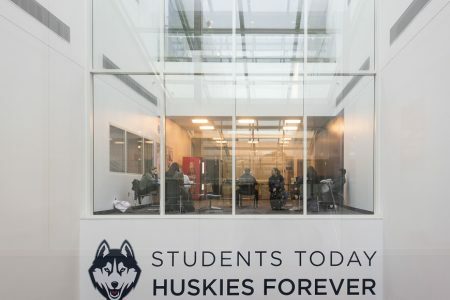 The Assistant Director works with and through their staff to better connect students to each other and UConn. 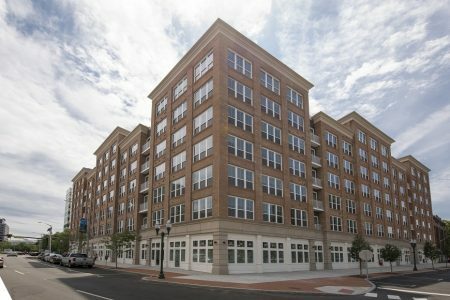 Currently the Assistant Director who is responsible for Stamford Housing has their office located on the Storrs campus. Housing Services staff are responsible for room assignments and room changes throughout the calendar year. They also oversee the housing application process, housing selection, and the contract release process. Most of the print and email communication sent throughout the year to students and parents, including the departmental website, originates in the Housing Services unit. Currently the Housing Services staff member who works with Stamford Housing has their office located on the Storrs campus. Questions related to housing can be directed to livingoncampus@uconn.edu or by calling (860)486-2926. The financial staff manage complex billing processes to generate and reconcile housing revenue from resident room fees and related fees in conjunction with the Bursar’s Office. They also direct procedures and audit financial controls for purchasing, accounting systems, finance report generation, and the oversight of a multi-million dollar departmental budget which includes forecasting for future budgetary needs. Currently the Billing and Fiscal staff members have their offices located on the Storrs campus. Questions related to this staff can be directed to livingoncampus@uconn.edu or by calling (860)486-2926. Please review the steps below for specific information related to applying for housing in the Fall 2019 semester. Students will be notified if they are guaranteed on-campus housing, with information about cancellation fees and policies. Students are encouraged to fill out Part 2 of the housing application, which includes more lifestyle questions to help our Housing Services staff with placement. Please use your previous experiences sharing a living space with another person when considering your answers to these questions. An email notification will be sent out in Summer 2018 to notify students when this part of the application is available so that they can go into MyHousing and complete it. We make every effort to match mutual roommate requests but we cannot issue a guarantee that every student who requests a roommate will be assigned together. Roommate requests are not mandatory and the majority of students are placed with someone they did not know before coming to the University. 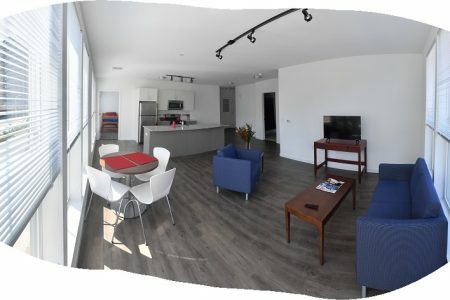 Students can use the Advanced Roommate Pairing feature in MyHousing in Summer 2019 to find a roommate, otherwise students can also use www.facebook.com/UConnRoommates as another option to look for compatible roommates. More information about the roommate request deadline and process will be shared in Spring 2019. The roommate pairing process will take place in the summer. The Health History Form must include mandatory meningitis vaccination information, per Connecticut state law, and meningitis vaccination verification or immunization exemption information must be on file with the University to live in on-campus housing. Get the form at https://newhusky.uconn.edu. Step 6: Check your UConn email account! Residential Life will email assignment and check-in information to UConn email accounts in August. Assignments are made using the personal preference information submitted on the 2018-2019 On-Campus Housing Application. Students with a documented health/medical condition or disability which may impact their living environment must contact the Center for Students with Disabilities (CSD) to register and request a housing accommodation. Students are encouraged to register by July 1, 2018 for Fall 2018 semester and by December 1, 2018 for Spring 2019 semester. Requests received after July 1/December 1 may not be honored due to availability. Detailed explanation of the conviction, charges, or sanctions. The correspondence should include first/last name, netID, and contact information. Once the statement of explanation is reviewed by the Associate Director of Housing Services, applicants will be contacted regarding eligibility. The official application will be available in MyHousing starting in February 2019 and must be submitted via that medium unless otherwise instructed. Can graduate students apply for housing? 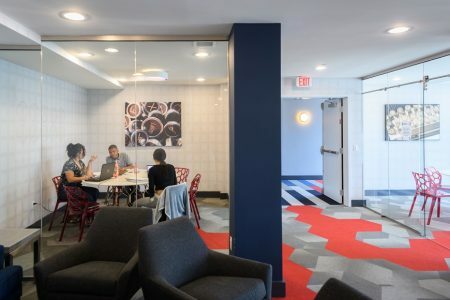 On-Campus housing is not available for graduate students at Stamford. Off Campus Student Services at UConn can help with your search for local housing. Their website is https://offcampus.uconn.edu/. is necessary and if so, make a recommendation to Residential Life. Is there a vaccination requirement to live on campus? All areas are open over Thanksgiving and Spring Recess. Winter Recess housing is available for the time period between Fall semester and Spring semester at no additional cost, but we ask students to submit an application in November 2019 so that we are aware of who is staying on campus during that time. Everything on campus is within walking distance. However, the shuttle bus is a convenient alternative. More information can found at www.stamford.uconn.edu/shuttle-information/. Bicycle racks are also available throughout campus for individuals who wish to bring a bicycle to campus. For Fall 2019 arrival information will be posted very soon. We anticipate that move-in will take place on the weekend of August 24. Unfortunately, the residence halls do not have adequate storage facilities for students to store furniture, and university furniture cannot be taken off site. Students will be held responsible for the furnishings in their room. If there is a concern about the furnishings or if a repair needs to be made, you can notify the Hall Director by visiting their office on the ground floor of the building. The alcohol policy can be found in the Student Code at www.community.uconn.edu. In accordance with state law, students who are under the age of 21 are not allowed to possess or consume alcohol. While we do not have any official “SubstanceFree” housing, no alcohol is permitted in any room where both roommates are under 21. Illegal substances are never allowed at UConn. 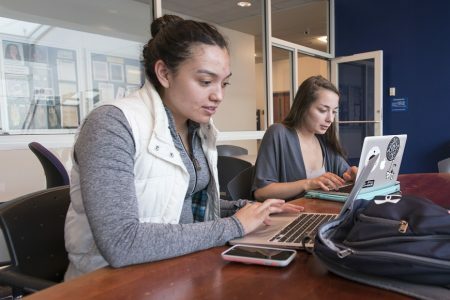 Many students choose to study in their residence hall rooms or study lounges, while others find that the library is a more effective place to study. Is there any way to recycle in the residence halls? Living with someone is a great opportunity to develop life-long relationships, even though it can be a challenging new experience. 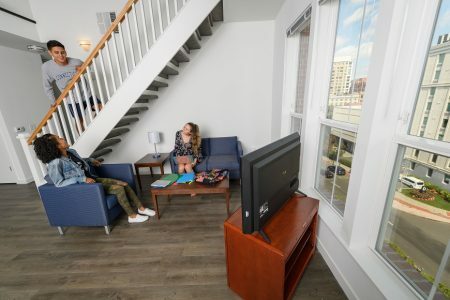 Before August 1st, students complete the Sharing Spaces Module online, which includes tips on fostering a positive roommate relationship (available Summer 2019). Students who experience difficulties with their roommate(s) are encouraged to seek out help from their HD (Hall Director). HDs are professional staff members trained to assist students in resolving conflicts with other students. 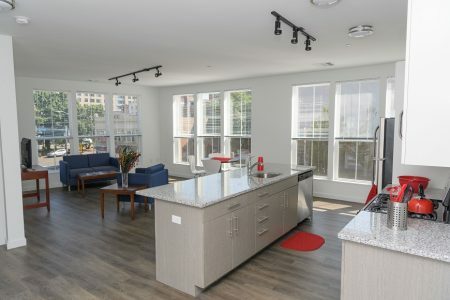 Roommate requests will be accepted until a specific date in July in MyHousing. Only mutual requests can be considered. The roommate pairing deadline will be shared in Spring 2019. Due to the limited number of completely vacant rooms in the Spring semester, we are not accepting roommate requests. What safety measures are taken in the residence halls? Are my belongings safe in my room?